As we’ve discussed in recent weeks, it’s no secret that schools, arts and community organisations have limited budgets and resources to deliver arts projects. However, with a little bit of creativity and by thinking outside the box, you may be able to create some truly unique art – hitting two birds with one stone. We spoke to Kim McDonough, from Thomas Ashton School in Tameside, who came up with five ways to source cheap or free materials for arts activities and how they can also be used to deliver engaging projects for young people. Consider the variety of materials you could use as a ‘canvas’. All sorts of weird and wonderful things can be found in charity shops and car boot sales for bargain prices! 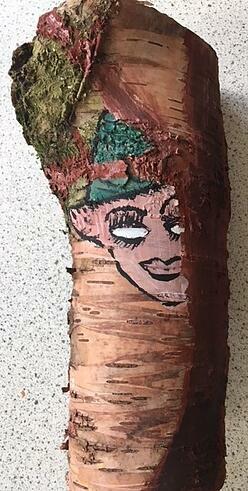 You can draw and paint onto anything, so why not apply this rule of thumb to something different, like a skateboard? Unusual items can also lend themselves perfectly to skills that young people might not have tried before like stencil, varnish, decoupage, pattern transfer or collaging etc. Old maps and comics make great material to cover other items (such as furniture), and the process just involves soaking strips in glue. In our experience, if young people are reluctant to engage in arts activities then they are more likely to participate if we give them something other than paper as a starting point. 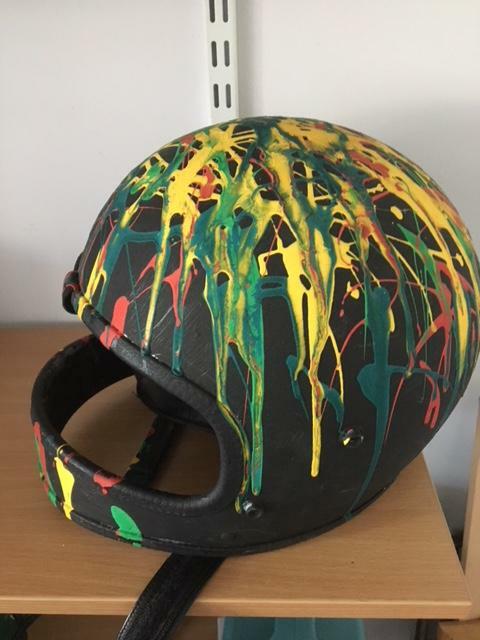 Everyday objects such as bike helmets and lampshades can also be used in this way, but charity shops and car boot sales also yield less-common objects that you can try decorating, such as furniture, rocking horses, dolls or puppets (these can also be used for drama projects). Keep an eye out for seasonal bargains throughout the year. For instance, after Christmas or Easter many shops will reduce prices on items such as trees, decorations, cards or costumes. Make sure to also take advantage of end-of-line sales, notably in pound shops where resources like craft materials can be picked up at a discount. Try and think creatively about how everyday objects can be used in an arts project. These might be things you or the participants bring from home, but also watch out for items that your organisation might be getting rid of, and make sure to claim anything that you can see a creative use for! For example, a pizza or cereal box could become a three-dimensional canvas. Milk bottle tops and other plastic lids are great for decorating objects and can also be used to make bottle cap art. Likewise, egg boxes can be turned into weird and wonderful three-dimensional animals or creatures. Even clothes and old shoes that are no longer being worn can be repurposed; either as materials in visual art pieces or towards costumes for drama. Musical instruments that no longer work can be painted or decorated rather than thrown away, books that are out of date or missing pages can be used as canvases or in collages and old paintings (with a coat of white emulsion) take on new life after young people have decorated them. And don’t forget pages from a magazine or newspaper can be rolled up or woven and then used to make baskets, bowls, pots and jewellery – you can turn anything left over from your staffroom or public spaces to young people and witness the marvels they come up with! Venture to the outside world to pick up an array of items for free which can be decorated, used to create pictures or to make other objects! For instance, the Christmas tree collage mentioned in a previous blog article made use of collected twigs and leaves. From foliage, conkers and acorns to shells, pebbles and stones; it’s all free and bursting with creative potential ready to be unleashed. 5. Sell what you make! To make a little bit of money for your organisation, why not make things with young people that they can sell to parents or others in the community? This can be managed as part of events like school shows and bake sales etc. At Thomas Ashton School, I assign my class an ‘enterprise fund’ of £20.00. Young people are split into groups and given £5.00 per group to spend on whatever takes their interest in the local charity shop. They make new objects using the things they find in the charity shop and then sell them on to make the £5.00 back. Any profit made goes to a local charity. 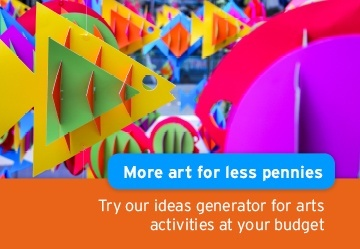 Check out our arts provision ideas generator for some more suggestions on being creative on a budget.